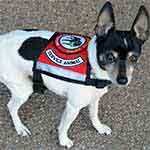 This 4-foot black ESA leash quickly identifies your emotional support animal as your working partner. 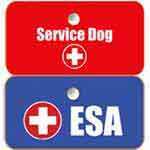 The white letters on our ESA leash are sublimated (a process that causes the print to become part of the leash). Our lettering will not fade or wear, and will never crack or peel! Made in the USA and backed by a lifetime guarantee. 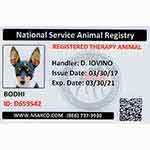 Eliminating confusion and confrontation when accompanied by your emotional support animal is an important stress-reducer: no one likes the hassle of unnecessary and embarrassing questions. 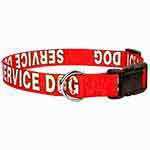 Our high quality sublimated service dog leash is terrific way to help the public immediately recognize your dog's status. 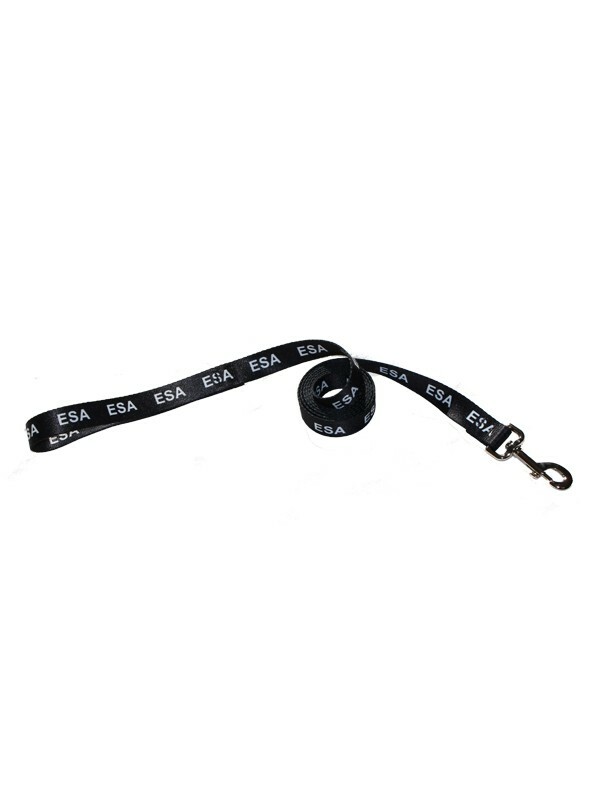 The NSAR black ESA dog leash with white lettering is a 4-foot leash that makes it easy to keep your assistant close to you when in public. NSAR provides a 30-day No-Risk money back guarantee! Proudly made in the USA! 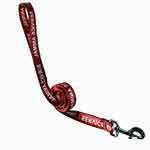 As good a quality leash as I've seen, so I expect it to last a long time. 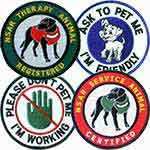 Service dog letters really stand out on the black webbing. I'm happy with my purchase.